The FT Mini Pietenpol was designed to honor the vision and benefits of its full-size, two-seat, big brother. It is simple, fun and easy to fly while also being easy to build. These characteristics were the goal of the original 1928 design by Bernard Pietenpol. Pietenpol took pride in getting people in the air with minimal investment, skills and tools. His heart reflects Flite Test’s values in every way. The FT Mini Pietenpol is a three-channel design that makes coordinated turns and flies slow and stable. 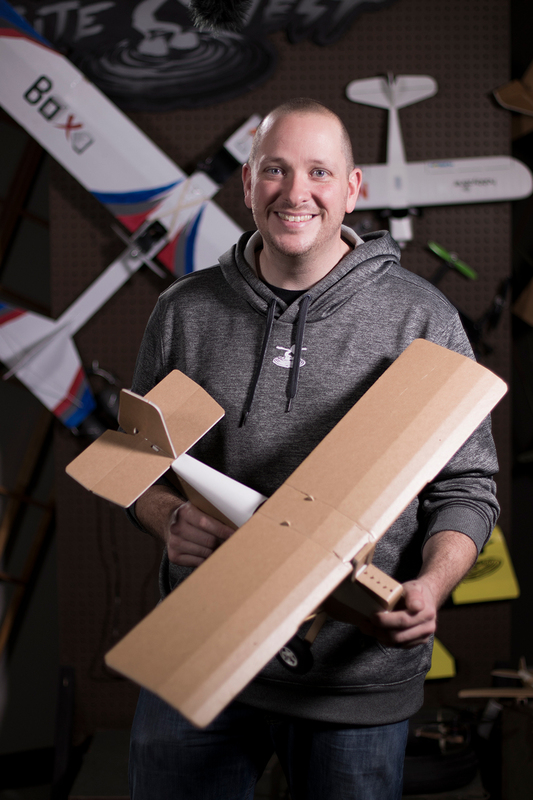 The kit can be built after dinner and be ready to fly before bed time. The techniques needed to build this kit are not only simple, but carry across all 40 plus FT designs. Our desire is that this little bird will be the source of many wonderful flights and memories that will be shared within families for years to come. This was my first kit build and I must say that I am very happy with it! The build was fun and simple to understand, not to mention looks great for the time spent. This was my first plane from flite test an in one word. Awesome! Keep up the good work. Bought the kit and followed along on YouTube to build it. Went together great and looks good for my first one. The only issue is that I can not get a battery for it. It is out of stock. Is there a substitution? Ok, so this is my very first R/C plane ever! Built very easy with help of the build video two thumbs up there Mr. Bixler! so my first flight was with a camera on board and very bad i might add, all pilot error as this was my first ever r/c flight. So (this is second part of review) i purchased the Phoenix flight simulator and downloaded a few FT planes to it and flew a few dozen practice flights on the simulator. Tonight i took the Pietenpol back up and OMG! I was a little concerned with the wind here, but it practically flew it'self! it was steady as a rock in the wind! i have to pat myself on the back as i don't think Josh himself could have had a better flight. it was awesome! So if you are thinking of this kit you won't be disappointed! I have already purchased three other speed build kits. The FT mighty Mini SE5, Folker DR1 and another FT Pientenpol. i would definitely recommend the 2.75" fat turf tires over the narrow style. The stiff grass here in Florida didn't take well to the narrow style. I followed the build video when building and only secured the wing struts on one end. After my first flight i secured the wing struts at both ends as the flight recording shows they came out of the fuselage right after take off on the very first flight and you could see them dangling as the wing flexed in flight. I mounted a camera on a barbecue skewer 4 inches off the left side of the pilot seat. with the struts hot glued on both ends it handled just fine. So to close it up. I've actually been following flight test on you tube for years. the Pientenpol sold me on giving it a try and now i am hooked! Can't wait to get the Mighty Mini's in the air! Best Flite Test plane so far! I own 12 FT designed planes, the Pietenpol is, by far, my favorite. It actually flies better than it looks! Buy one now! The FT. Pietenpol easy kit to build. Fly's like a dream great for a beginner. Fly slows and have enough power to fly at high speed for the size of the plane. Thanks to the Flute Test Team for a great. Little if aircraft my son love it for a first plane. i got this plane and the first time i saw it i was amazed. the plane is so much fun it makes me want to fly a real one. Been watching the appearances in vlog and videos and I know that this has got to be great, any chance on adding the printed radiator and block? Waiting for the scratch build plans. It isn't right to rate a plane before flying it, but this thing looks so real. In the air, you could mistake the film for a real airplane. Will build soon and report back, soonest possible. Mid-March.